Our aseptic cold filling line adopts aseptic isolation technology to ensure the asepsis of filling material, packing environment and packaging containers. Reliable sterilizing method is used to sterilize empty bottles and caps. 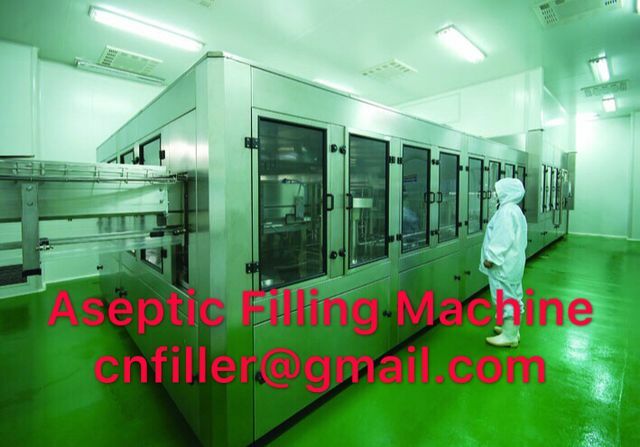 In addition, the utilization of COP and SOP ensures the asepsis of the equipment inside and outside surface and the adoption of aseptic compressed air ensures the positive pressure of filling environment for clean room environment. 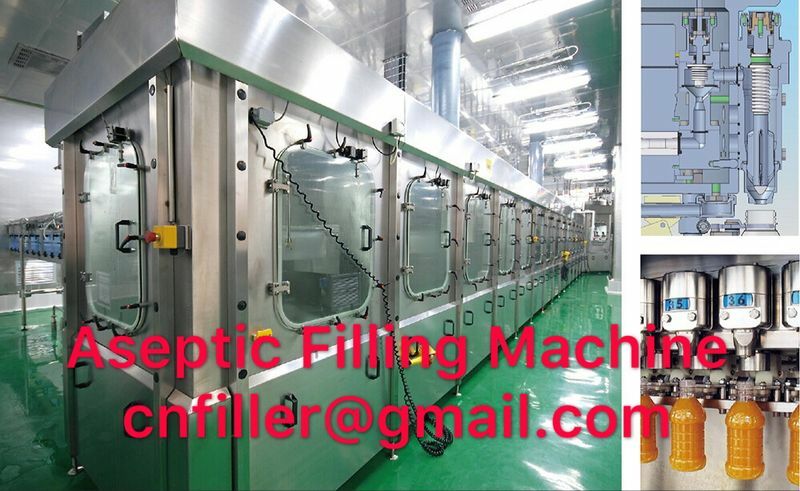 What's more, CIP cleaning and SIP sterilizing are used to clean and sterilize the material pipeline, which prevents the material sterilized by UHT from being polluted, thus ensuring the asepsis of final products. Application: Tea, juice, functional drink, neutral products etc. Applied Containers: PET bottles with various capacities and shapes. Filling System: Non-Contact Flow-Meter Valve. Product’s scope: Blowing molding system, air compressor system, disinfectant preparation, COP, SOP, CIP, SIP, UHT, sterile materials reserve, pure steam generator, purification system,filling system, sterility isolator, caps sterilization system, sterile air/water preparation, filled bottle conveying system, labelling machine, carton/film packing machine, palletizer, electric control, engineering design and construction. 1、Our aseptic cold filling line is modularly constructed for great flexibility. It combines the dumping machine, rinser, filler and capper into one unit, and the part above the table-board is full closed by shielding can. 2、The rinsing machine can wash the inside and outside of the empty bottle by aseptic water. Dripping is also available. 3、The use of non-contact filling valve effectively prevents second pollution. 4、The imported electronic weighing sensor of filling valve ensures high measuring precision and makes it convenient to adjust product variety. 5、Transmission part of capping plunger chip uses heat shield device to effectively separate the pollution zone and clean zone. 6、The adoption of magnetic constant torque capping head helps ensure capping quality. 7、Our aseptic cold filling line is equipped with centralized lubrication system. 8、Automatic control of CIP and SIP operations is realized.